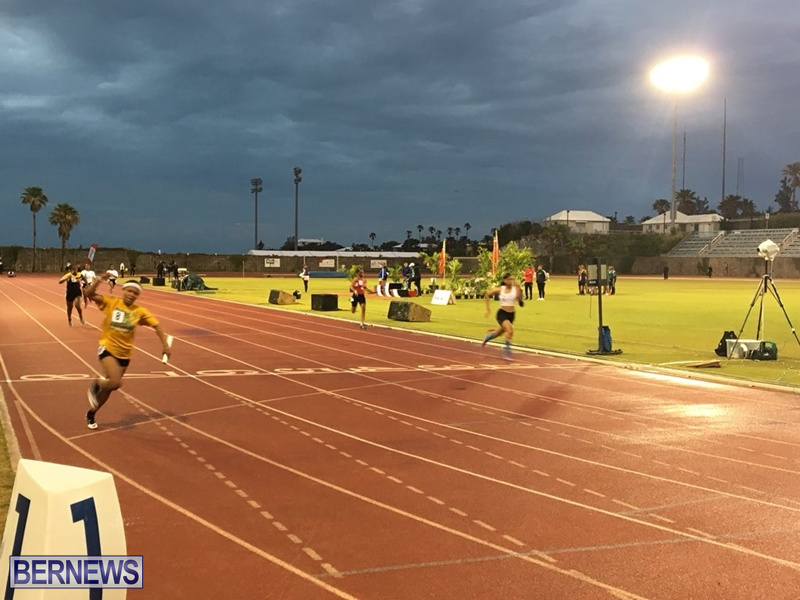 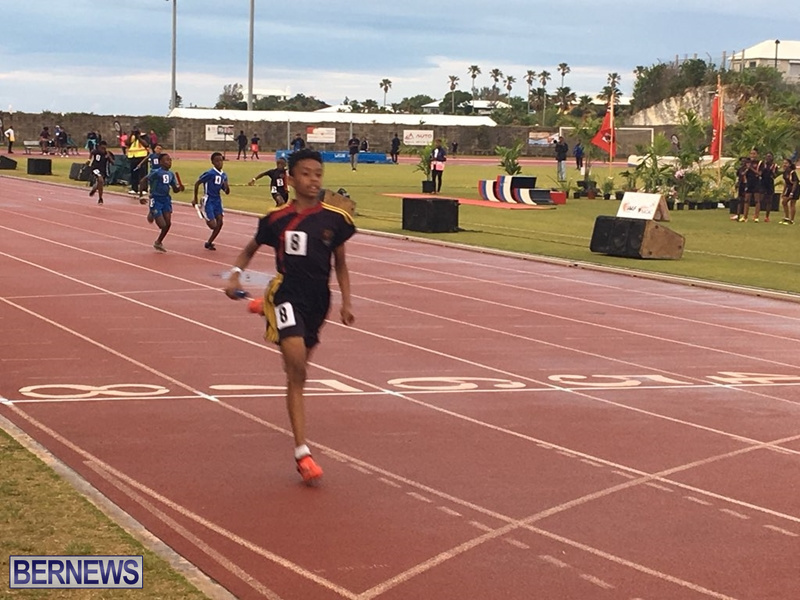 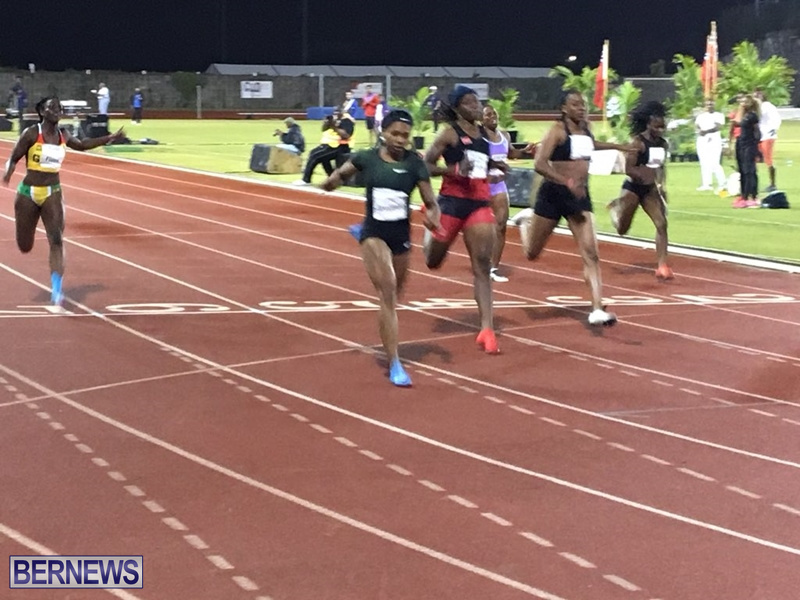 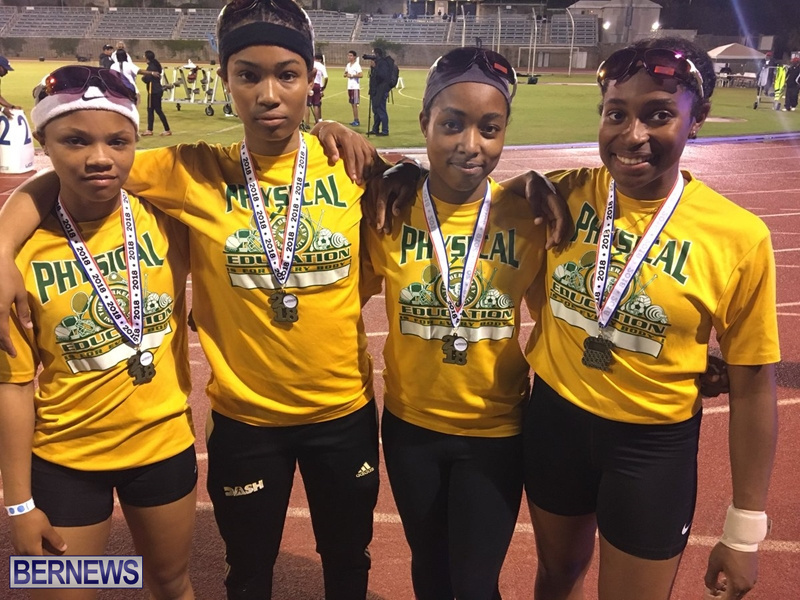 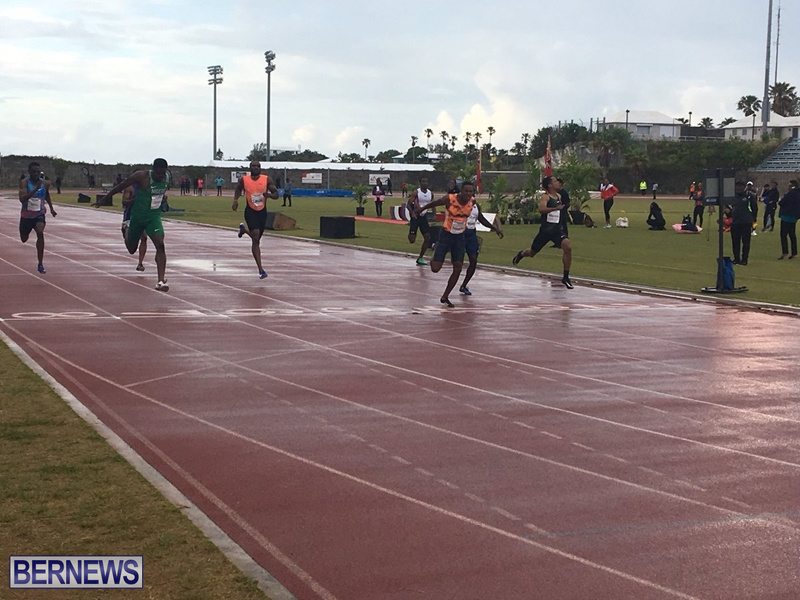 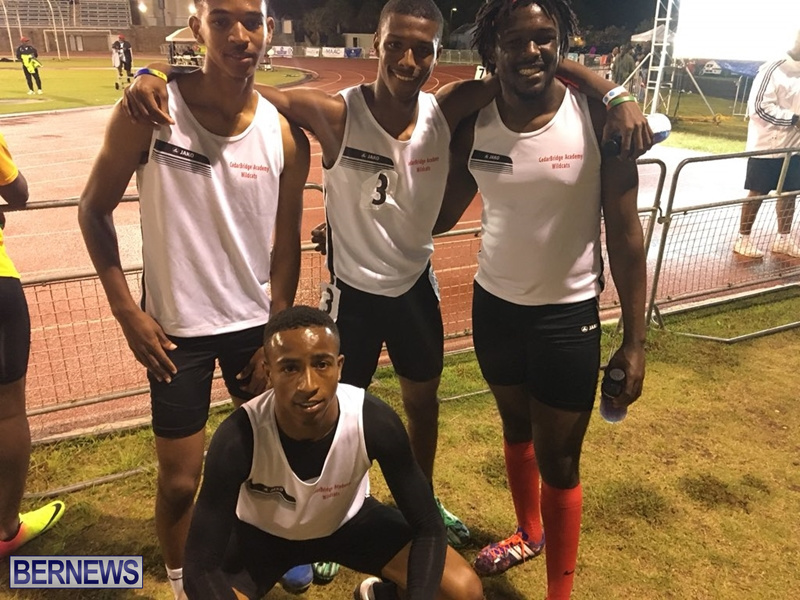 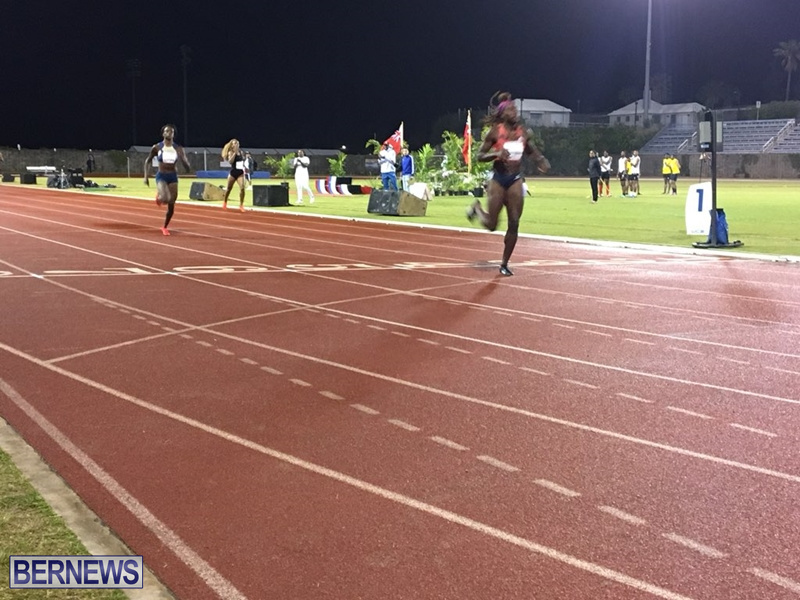 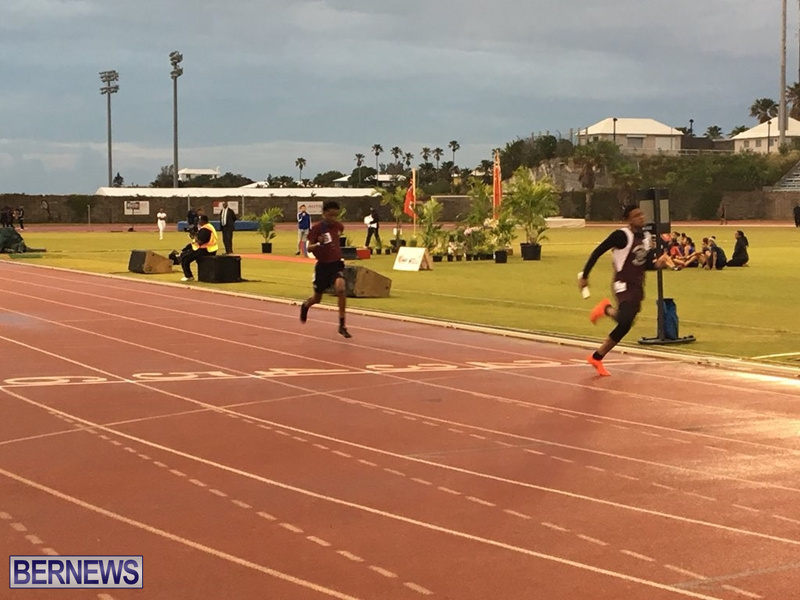 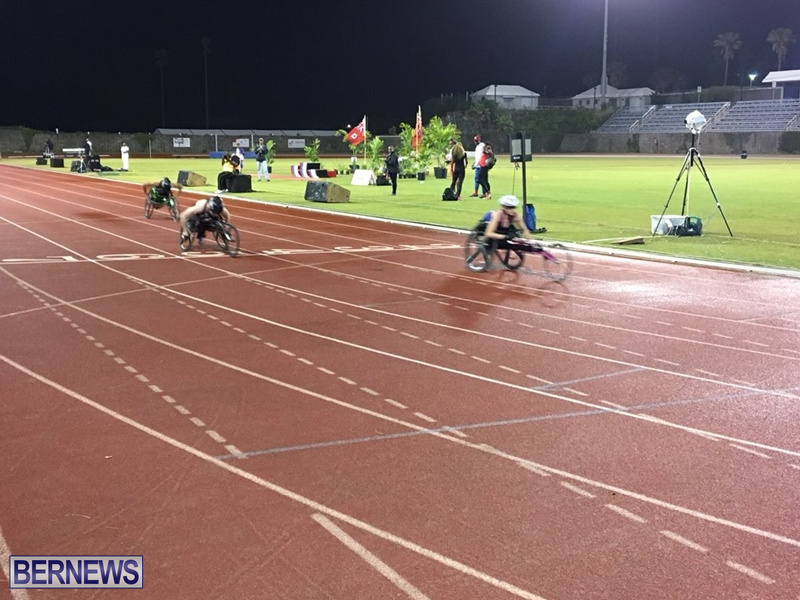 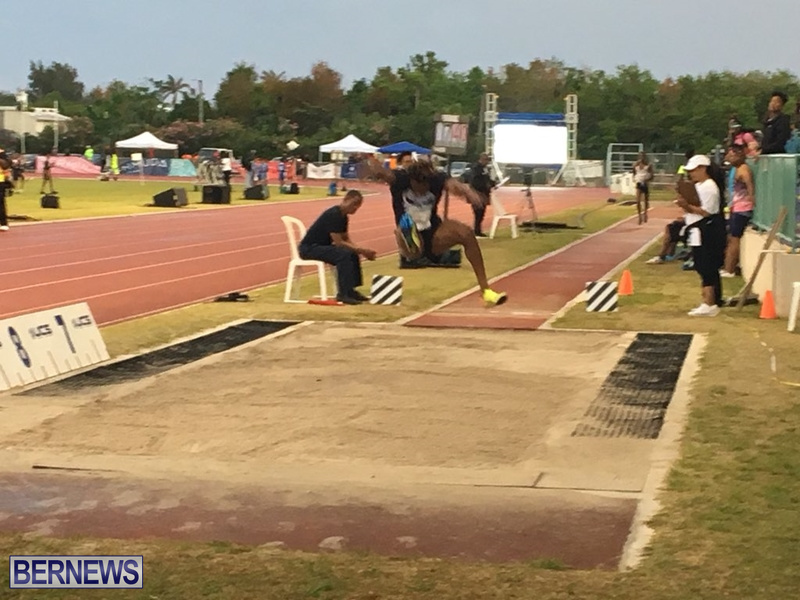 Elite athletes traveled to the island for the Bermuda Invitational Permit Meet, with track and field athletes from the BVI, USA, Nigeria, Bahamas, Barbados, US Virgin Islands, Trinidad & Tobago, Puerto Rico, Canada, Grenada, Cayman, Turks & Caicos, Dominica and Great Britain matching up against some of Bermuda’s top athletes, while the evening also saw some of the island’s top junior runners in action during the school relays. 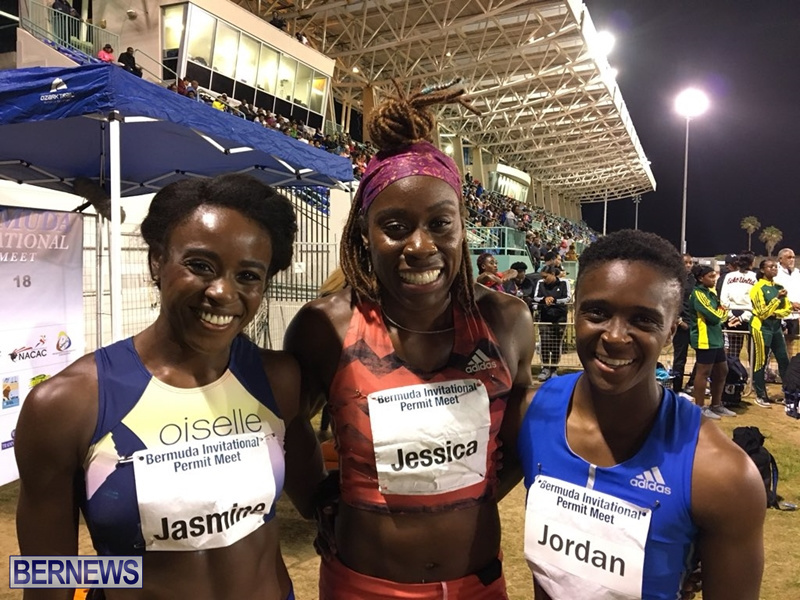 We provided live updates while the event was underway, and the photos from those updates are below. 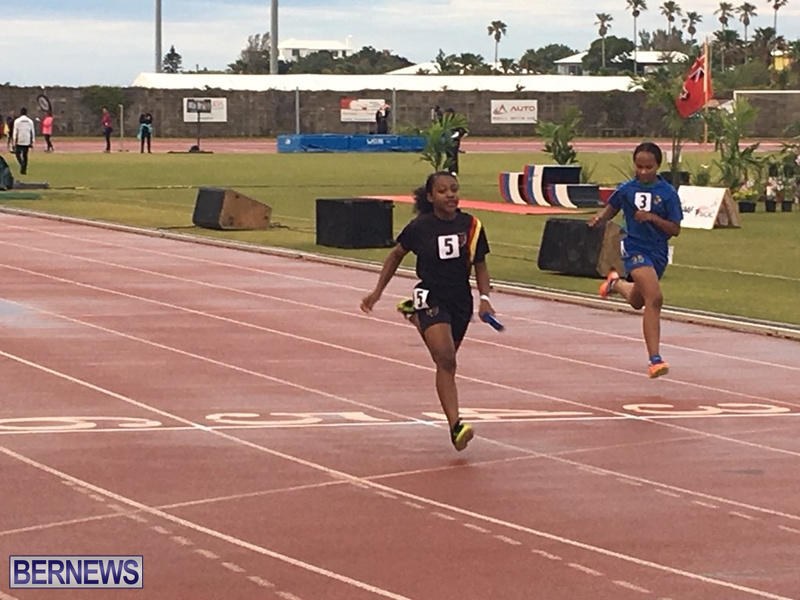 Prospect Primary running away with the victory. 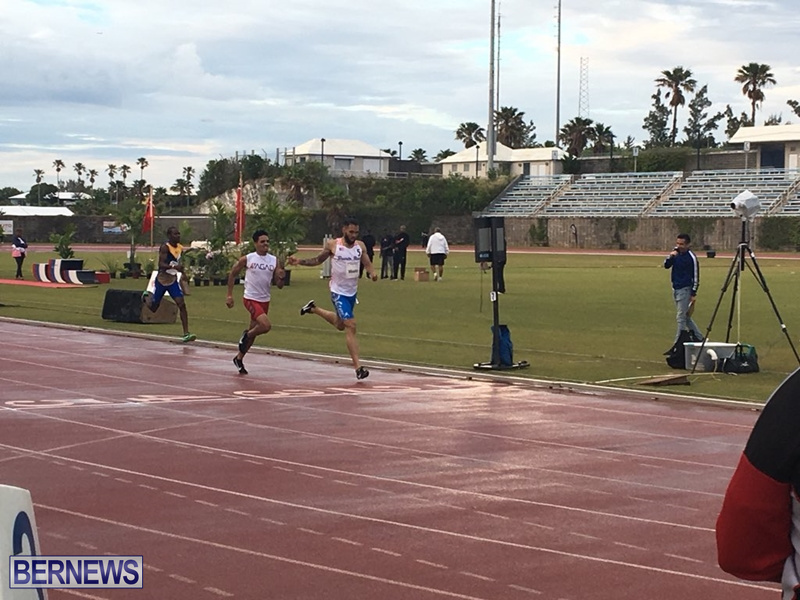 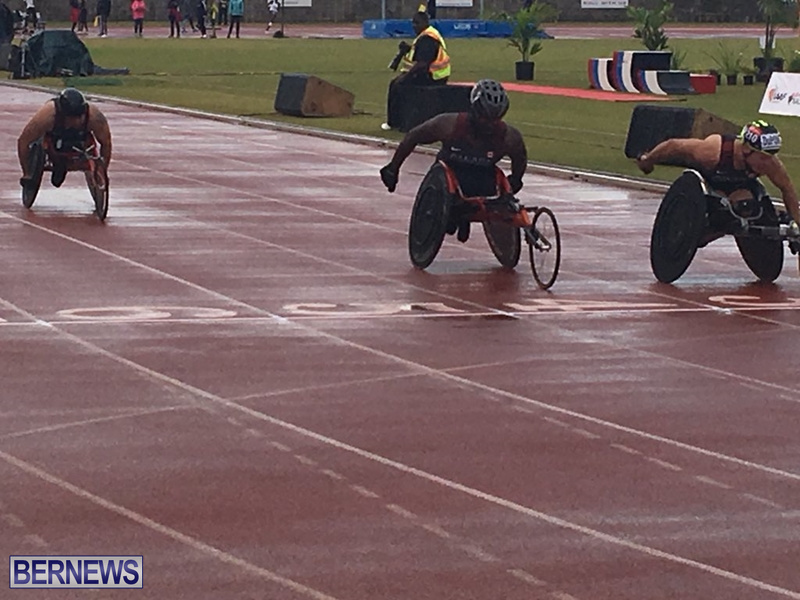 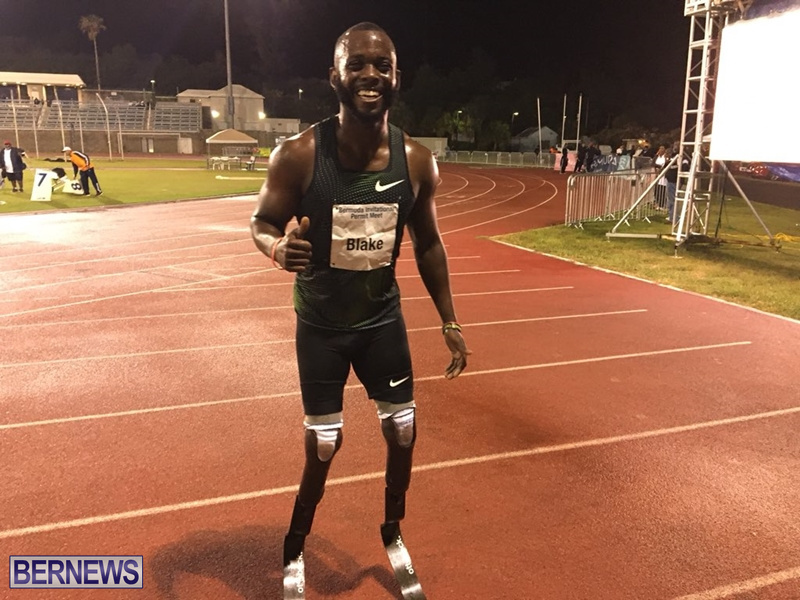 YanCarlos Martinez from Puerto Rico won the men’s 200m in 20.89 with Winston George of Guyana second in 21.06 and Chidi Okezie of Nigeria third in 21.08. 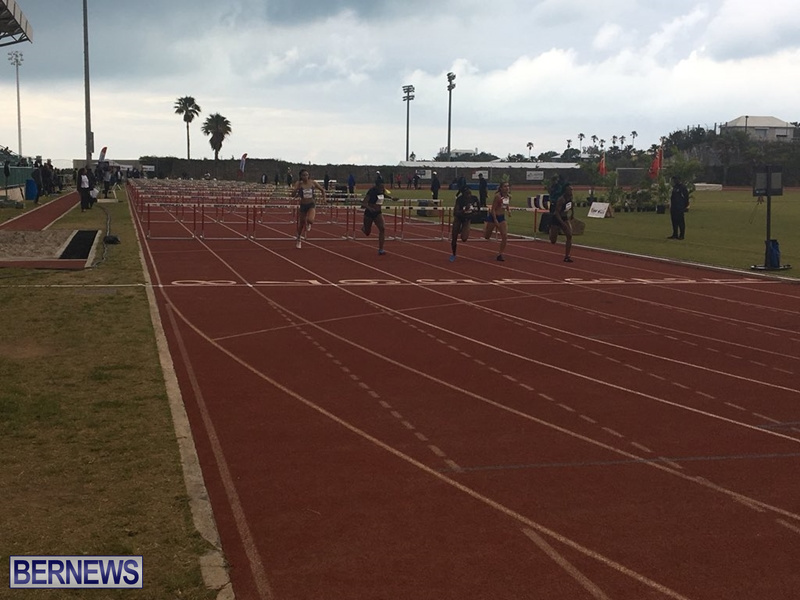 American Bridgette Owens won the women’s 100M hurdles in a time of 13.21.